SKU: JF666. 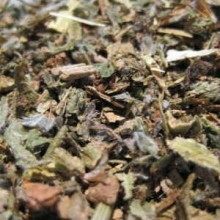 Categories: Single Herbal Infusions, Products beginning With "Y". Tags: anti inflammatory, astringent, bruising, cardiovascular, colds, detox, digestive, haemorrhoids, headache, influenza, menstrual, migraines, nose bleeds, phlegm, sweating, urinary, varicose veins. 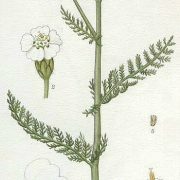 Yarrow Herb (Achillea millefolium) is a native to temperate regions of the Northern Hemisphere in Europe, North America and Asia. 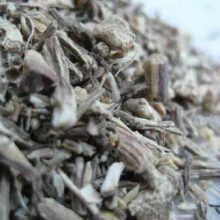 It has seen historical use as a medicine, mainly because of its astringent effects. 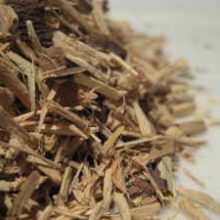 Decoctions have been used to treat inflammations such as piles (haemorrhoids), and also headaches. Confusingly, it has been said to both stop bleeding and promote it. 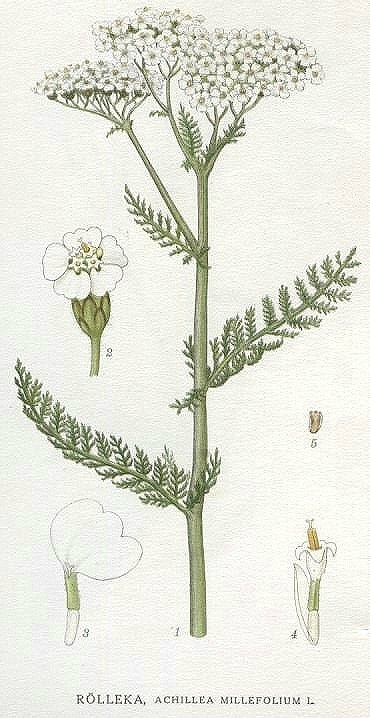 Infusions of Yarrow, taken either internally or externally, are said to speed recovery from severe bruising. 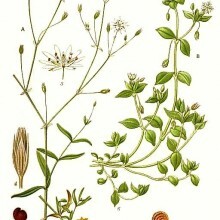 The most medicinally active part of the plant is the flowering tops. 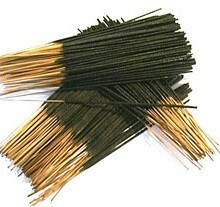 They also have a mild stimulant effect, and have been used as a snuff. 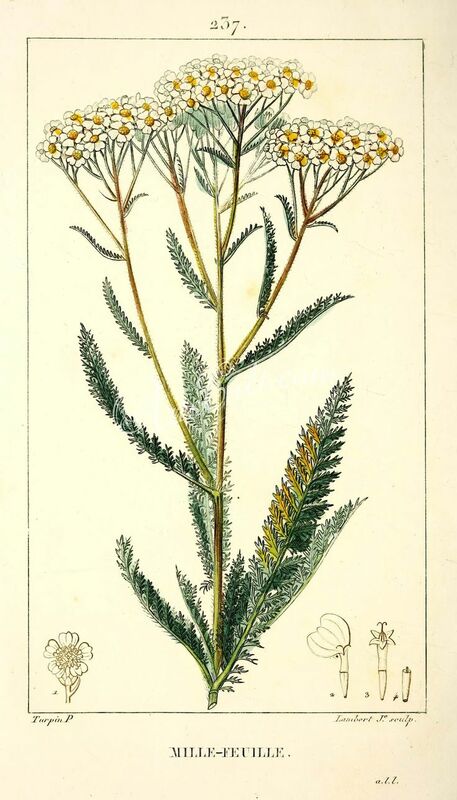 Today, Yarrow is valued mainly for its action in colds and influenza, and also for its effect on the circulatory, digestive, and urinary systems. The flowers, rich in chemicals are converted by steam into anti-allergenic compounds. 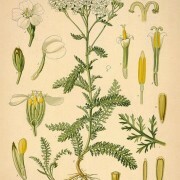 The flowers are used for various allergic mucus problems, including hay fever. Harvest during summer and autumn. 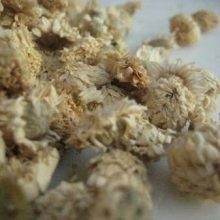 Drink the infused flower for upper respiratory phlegm or use externally as a wash for eczema. 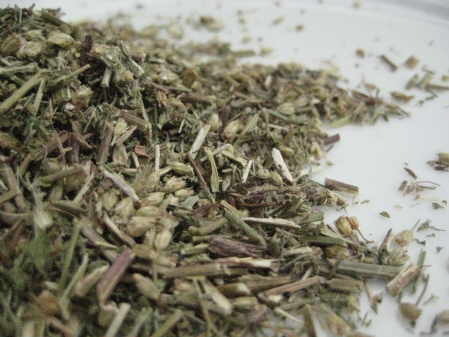 Inhale for hay fever and mild asthma, use fresh in boiling water. The leaves encourage clotting, so it can be used fresh for nose bleeds. However, inserting a leaf in the nostril may also start a nosebleed; this was once done to relieve migraines. Harvest throughout the growing season. 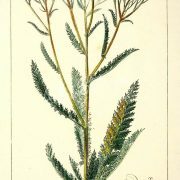 The aerial parts are used for phlegm conditions, as a bitter digestive tonic to encourage bile flow, and as a diuretic. The aerial parts act as a tonic for the blood, stimulate the circulation, and can be used for high blood pressure. 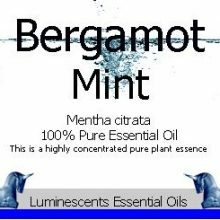 Also useful in menstrual disorders, and as an effective sweating remedy to bring down fevers. 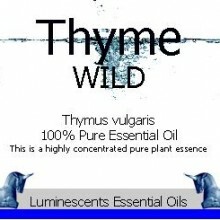 The tincture is used for urinary disorders or menstrual problems. Prescribed for cardiovascular complaints. Soak a pad in an infusion or dilute tincture to soothe varicose veins. 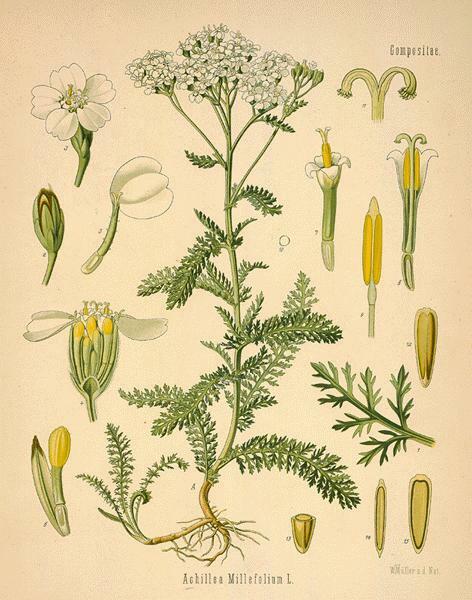 Yarrow intensifies the medicinal action of other herbs taken with it, and helps eliminate toxins from the body.